What will I gain from the FOCUS Impact Fellows experience? 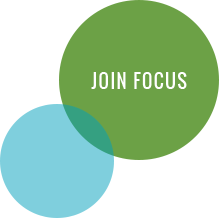 FOCUS Impact Fellows is an opportunity to put your leadership skills into action. You’ll work alongside 15-25 other leaders in your cohort to move the needle on an issue or challenge in the St. Louis region. Knowledge and understanding is the first step to tackling any problem. You’ll be connected with area’s top experts and key players to gain a deeper understanding of the designated issue. Your cohort will then be challenged to apply your own leadership competencies and innovative thinking to address systematic needs via a self-designed, impactful, and sustainable project. In addition to the knowledge gained, projects developed, and networks built, you will gain considerable training and experience in change management, problem-solving, systems thinking, group dynamics and project management. You’ll also leave the program having forged deep connections with fellow leaders who are passionate about making a difference in the St. Louis region. How is the cohort selected? What are you looking for in applicants? The program also strives to ensure that classes represent the broad diversity of the community. Do I need to have previous experience or knowledge on the selected topic? No. As the goal of FOCUS Impact Fellows is to bring new faces, perspectives and skill sets to a community issue, previous experience or in-depth knowledge of the selected topic is not a requirement for application and/or participation. However, an interest in the topic and in continued learning is recommended. Yes! If employed, we encourage you to check with your employer to see if they will cover the $3,500 tuition, either in part or full, as an investment in your professional development. Scholarship assistance is also available for those with demonstrated financial need. Information on applying will be provided to those selected for the class. Please note: full scholarships are not available at this time. The FOCUS Impact Fellows program meets from August to May, with 1-2 full-day program sessions monthly, in addition to an opening retreat. As the program moves along, you should also plan for additional time outside of program days for individual and group work on the selected project(s). The amount of time will vary depending on the project selected, but could include conference calls, small group meetings or research, as determined by the class. Applicants must be able to attend all sessions (barring emergencies) to be eligible for participation in the FOCUS Impact Fellows program. “The Impact Fellows experience is life-altering. President & CEO, Downtown STL, Inc.